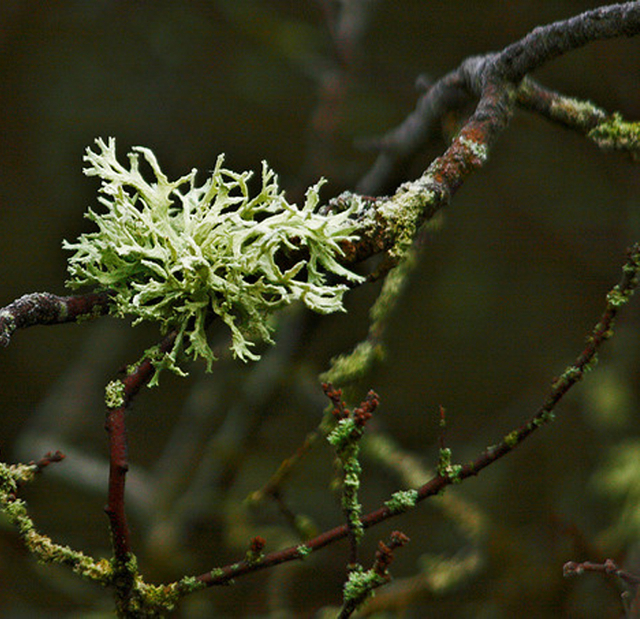 Oakmoss is among perfumers’ most beloved ingredients: an essential element of fragrances within the chypre family (which you can read more about here), in partnership with bergamot: it ‘anchors’ volatile notes. Its more romantic French name is ‘mousse de chêne, but this tight-curled plant – botanical name Evernia prunastri - is actually a lichen which grows on oaks throughout Europe and North Africa, only flourishing in unpolluted air. It can range in colour from light green to black depending on whether it’s dry or damp - and it smells a lot more beautiful than it looks. Oakmoss smells earthy, and woody, sensual with hints of musk and amber and is really not like anything else in the perfumer’s ‘palette’ because it also works fantastically as a ‘fixative’ to give scent a longer life on the skin. As you might suspect, there’s a touch of damp forest floor to this material, too. 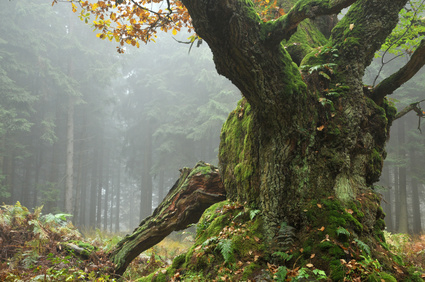 The use of oakmoss in perfumery goes back a long, long way. Coty’s Chypre perfume, in 1917, popularised this type of fragrance – but in fact, chypre scents, inspired by the island of Cyprus, had been beguiling people for centuries. For hundreds of years, from Roman times (that’s as far back as we know about) this style of perfume blended styrax, calamus and labdanum; in the Middle Ages, oak moss began to be added, to create ‘pastilles’ for burning. But there’s one snag with this exquisite material: it’s been ‘blacklisted’ by the International Fragrance Association (IFRA) as a potential irritant, its use restricted by European regulation to 0.1% in perfume compositions that are applied to the skin – a restriction which has sent ‘noses’ into tailspins in labs across the world, as they were forced to remove or reduce this lynchpin ingredient in their often very famous formulations. Some ‘noses’ played around with ingredients like patchouli, or synthetic ‘imitations’ of oakmoss to try to achieve some of the same effects as this wonder of the natural scent world, but there’s no question that some favourite fragrances started not to smell like themselves. Now, though, there’s a way through – which is glorious news for chypre-lovers everywhere. Through a process of ‘fractionation’ – separating the different elements of an individual ingredient, and removing the potential sensitiser – it’s possible to get an ingredient that’s much closer to the oakmoss we know and loved. We’re used to slooshing this onto our salads or into our frying pans – but spritzing it onto our pulse-points? Well, yes: the fragrant use of olive goes back millennia: the early Arab perfume-makers used it as a base in many of their scented creations, and the Egyptians used it to steep jasmine blossoms, to produce a fragrant oil. 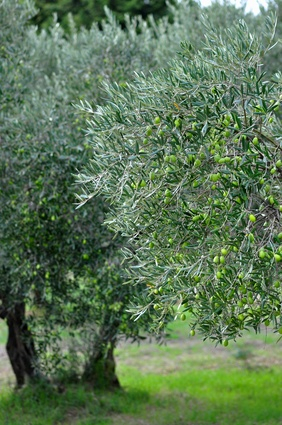 Olive has had many other therapeutic benefits: as an aphrodisiac, in healing balms and creams, as sedatives and tonics. (And we’ve noticed that lately it’s having a moment in the sun in the form of olive leaf tea, packed with health-giving antioxidants.) Symbolically, olive leaves represent abundance (as well as glory) – and that’s certainly true of this Mediterranean tree, which is quite a multi-tasker in perfume-terms. The leaves, bark, fruits and flowers all offer different nuances: earthy, peppery, fruity, buttery or subtly herbal. Naughty, naughty, naughty. When you see opium listed as a fragrance note, it implies something mischievous and mysterious about the perfume itself. Since ancient times, the opium poppy has been regarded as a symbol of nocturnal decadence, intrigue – but also, with healing powers. It’s been used in ritual at least since the Stone Age (stoned age? ), and Egyptian, Roman, Persian, Chinese, Greek and Arab empires have also used it made ceremonial, medicinal and culinary use of opium poppies. 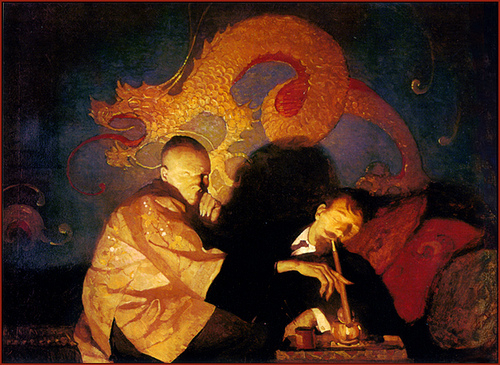 It only began to get a bad name during the 16th and 17th Century, with poets and authors among those who fell for opium’s narcotic charms. Not surprisingly, in perfumery it’s use to ‘hypnotic’ effect: a powdery, floral note that works beautifully in Oriental compositions. Opoponax catches alight easily, which explains why it’s been used for incense for centuries: King Solomon apparently regarded opopanax as ‘the noblest of incense gums’. In perfumery, it lends itself most beautifully to Orientals, working its exotic magic in many much-loved scents. Everyone knows what an orange smells like, of course: that burst of zest as you dig your fingers into the waxy skin to break into this juiciest of fruits. That ‘whoosh’ of uplifting zestiness is precisely why perfumers love to use it: as a sweet, refreshing, sadly fleeting top note, very often in colognes but also in Oriental and fruity-floral scents. 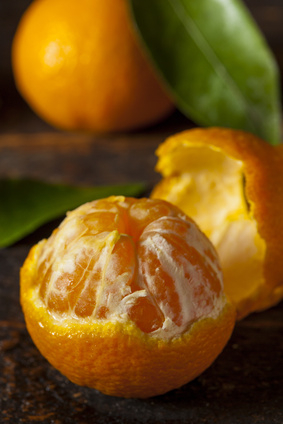 Sweet orange oil itself is harvested by cold-pressing the fresh of this fruit – which turns out to be a hybrid between the mandarin and the pomelo, which only came into existence in Europe and China in the 11th Century. The key aroma compound in sweet orange oil, meanwhile, is something called d-limonene – and it’s also a sensitiser for some people, meaning it has to be listed (albeit in the teensiest writing) on labels. Orange blossom and neroli are a bit confusing, as ingredients. They’re both from the small white flowers that blossom on the bitter orange tree (Citrus aurantia) - which is much more fragrant than the orange tree which produces the fruit for eating. Orange blossom is extracted from the flower through the use of solvents. Neroli (which you can read about under ‘N’) is steam-distilled. They’re subtly different, in the hands of perfumers. Orange blossom absolute is richer, sweeter, headier – there are hints of that other white flower, jasmine, about it (and if you look at its chemical make-up, there are similar aroma compounds in both). Orange blossom can be used almost symbolically in fragrance, as well as for its bewitching scent: over time, it’s come to represent purity, moral virtue and innocence, but fruitfulness and fertility, too. 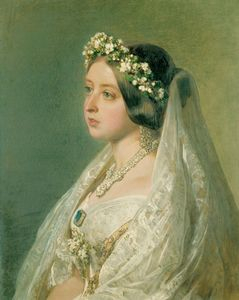 As a flower, orange blossom has long played a role in weddings: maidens have carried it in bouquets and woven it into bridal headdresses since the time of the Crusaders, when trees were brought from the East to Europe, and began to flourish here. What better ingredient for fragrances suitable for brides, then...? But in fact, orange blossom’s versatility lends itself to all kinds of fragrances – so it’s very widely used, acting too as a natural ‘fixative’ to prolong the life of will-o’-the-wisp ingredients. You can enjoy it in colognes, Orientals chypres, as well as petal-perfect florals. 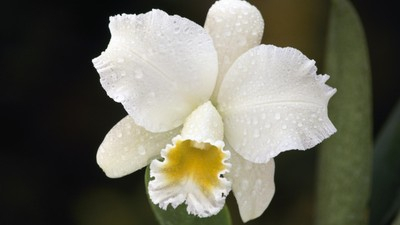 There are thought to be over 20,000 different orchids altogether. The name (who knew?) comes from the Greek ‘órkhis’, literally meaning "testicle", thanks to the shape of the root. Not terribly romantic, but we do like the Greek myth behind the naming of the plant. So the legend goes, Orchis – son of a satyr and a nymph (quite a combo) stumbled upon a festival of Dionysus (a.k.a. Bacchus), in a forest. As tended to happen at ‘bacchanales’, he imbibed too much, and became somewhat over-amorous towards a priestess. The Bacchanalians tore him apart. His father prayed for Orchis to be restored, but instead the gods transformed him into the flower we know today as the orchid. In reality, when you smell ‘orchid’ as a fragrance note, today it’s more likely to be synthetic. Nice myth, though. 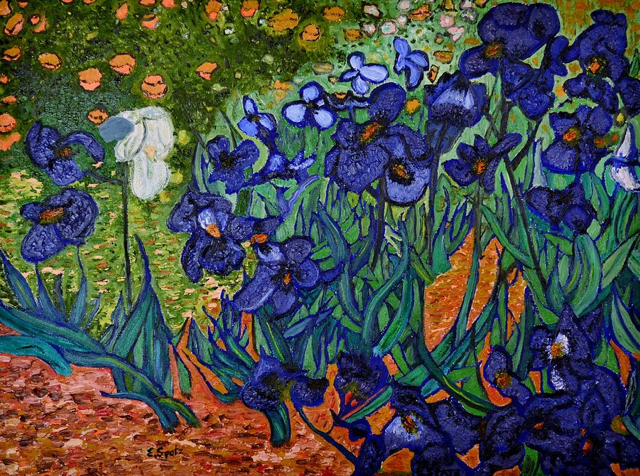 Iris, or orris, has lent its sweetness to perfumery for centuries – as far back as Ancient Rome and Greece, or perhaps even beyond. Back then, it was made into hair and face powders, placed into pomanders, and was the basis for delicious perfumed sachets for wearing on the body. (An idea we’d rather like to see revived...) Iris has long been a symbol of majesty and power, too. It's been highly fashionable in fragrances for the past few years: sweet, soft, powdery, suede-like – rather like violets, which we tend to be more familiar with as a scent. Actually, iris runs the spectrum from sweet to earthy: it also works brilliantly to ‘fix’ other ingredients, giving a more lasting quality to florals and base notes. Often, only the lightest touch of orris is needed in fragrances – but ‘noses’ wouldn’t be without it, for the world. 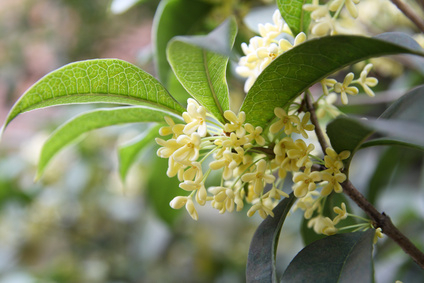 You may well have smelled osmanthus in a fragrance without realising: this creamy white blossom gives a surprisingly mouthwatering, succulent, hints-of-peach-and-plum-and-apricot nuance to perfumes. Fresh – but sophisticated, too. Succulent – but somehow creamy and milky. You may also get hints of violet. And what is it...? A Far Eastern flower, a member of the lilac and olive family: known as Kwei Hwa or Mo Hsi, it’s been used there to fragrance tea and other drinks, as well as jam. But in the perfumer’s repertoire, it’s a pricy ($4,000+ a kilo), refined ingredient worth its weight in gold – sometimes blended with synthetics that bring out its peachiness, however. 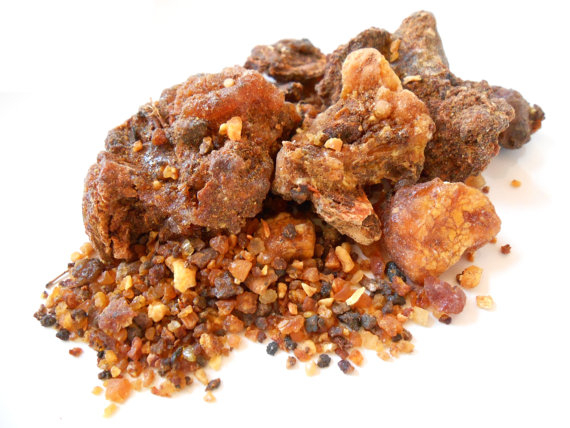 Osmanthus also works beautifully in leathery, suede-like scents, as well as florals.